All eyes were on Spaniard Dalianah Arekion when she opened exclusively for Givenchy at the Fall/Winter 2013 collections. The 17 year old who hails from Santander on the north coast of Spain began modelling a year ago when she sent her pictures into agencies in Barcelona and was swiftly signed by Traffic Models. The 179 cm tall beauty with striking green-blue eyes, owes her exotic looks to her blend of Spanish and Mauritian ancestry. Arekion clearly impressed designer Riccardo Tisci who enlisted her to front the Givenchy Fall/Winter 2013 campaign shot by Mert & Marcus. 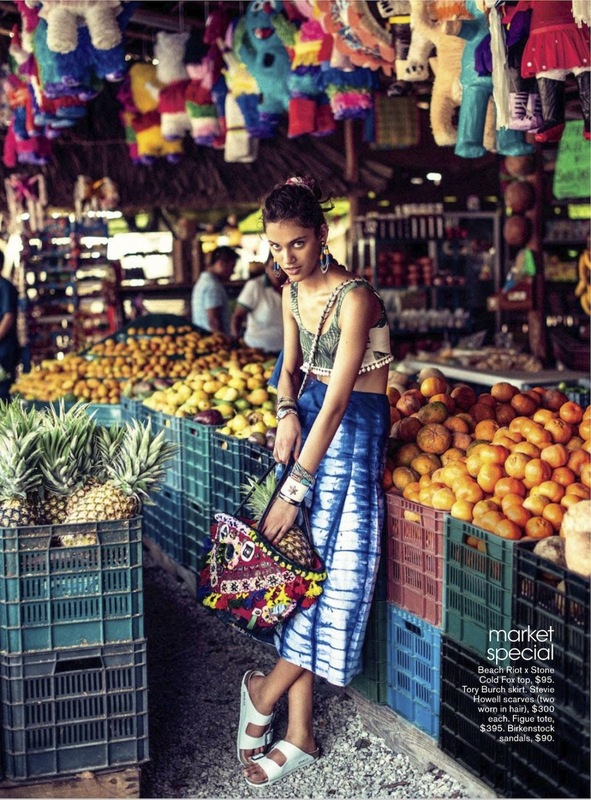 Arekion keeps things on the boil with a star-turning appearance in the June 2013 issue of Teen Vogue shot by Sebastian Kim in the sun soaked port of Tulum, Mexico. Arekion turns heads as she explores the local food markets, hitches a ride on a taxi cart, and catches some rays on the magnificent Tulum coastline. No doubt Arekion will be the newcomer on every influential casting director's must see list in the lead up to the Spring/Summer 2014 collections.